by KATHRYN BROWN | Kathryn Brown, a senior at Benedictine College, is the Gregorian Fellow responsible for Benedictine College leading the March for Life in 2014. It is tent season here at Benedictine College. 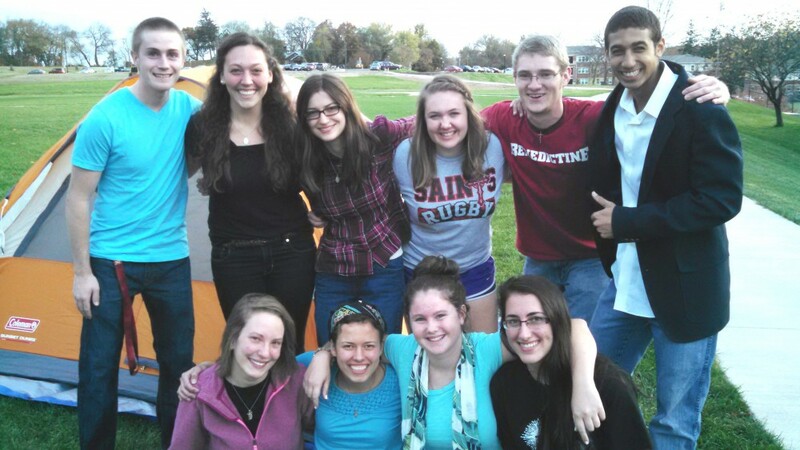 A group of students, known as the “Tent Gang,” have committed to taking turns sleeping in a tent on campus every single night, prayerfully sacrificing their time and comfort to raise awareness about the March for Life, and to demonstrate to their fellow students that the right to life is worth sacrificing oneself. They will do this until we have nine buses – 486 people – signed up for the March For Life, or until the December 5 final signup date, whichever comes first. At the moment, we have less than two buses signed up, so it looks like they will be out there until December 5, braving the freezing temperatures we have been experiencing here in Atchison. The Tent Gang has been out there since mid-October. This tent tradition was started in 2009 by a student named Joe Dobrinsky, and has been carried on faithfully every fall semester since. A few students have told me that seeing the tent while visiting campus as prospective students influenced their decision to come to Benedictine. 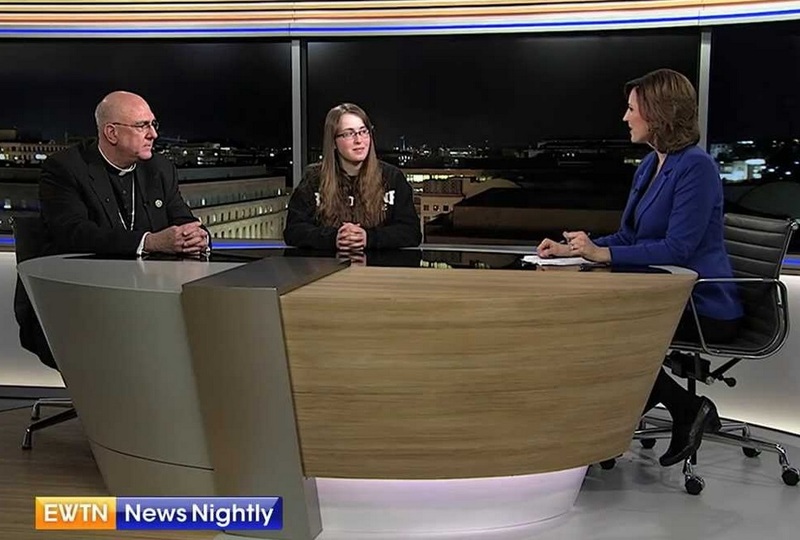 I was interviewed about the tent on EWTN News Nightly the day of the 2014 March for Life. When I was called into the studio in D.C. I started going over possible questions in my head, frantically trying to prepare myself for whatever they might ask me in front of those cameras – logistics, number of people attending, etc. When Collen Campbell unexpectedly asked, “So I hear you have a tradition involving a tent” I could not help laughing. Who knew that some college students sleeping in a tent out in Kansas would end up on national television? Our numbers and the fact that we led the March attracted attention from many major media outlets including FOX News and the Washington Post. We even made the front page of the Kansas City Star. By our journey to the March we spread the message of the dignity and sanctity of every human life to millions. Our students’ commitment to greatness – sacrificing their time and comfort by sleeping in a tent and going on a long bus ride for the sake of the dignity of human life – is proving very fruitful.